I am shocked to discover it is already the Christmas season. We have managed to avoid it thus far in our long far travels. While most are deluged with the relentless avalanche of Rudolf and Frosty, we've been underwater swamped---In the Louisiana swamps, beyond the reach of Christmas cheer, where holiday ads don’t play and Santa cannot sleigh, thank God. We took a boat, five of us, into the Honey Island Swamp for an afternoon. It was creepy, haunting and beautiful, this swamp, twenty miles long and seven miles wide, considered the least altered river swamp in the U.S. The labyrinth of cuts, bayous, ditches and rivers was astounding, circling us ever deeper into an eerie world. Alligators abound here, and herons, ducks, nutria, deer, raccoons, And people. As we chugged past their stilted houses, I imagined them with soggy webbed feet, with bedraggled hair and scraggly beards like Spanish moss. 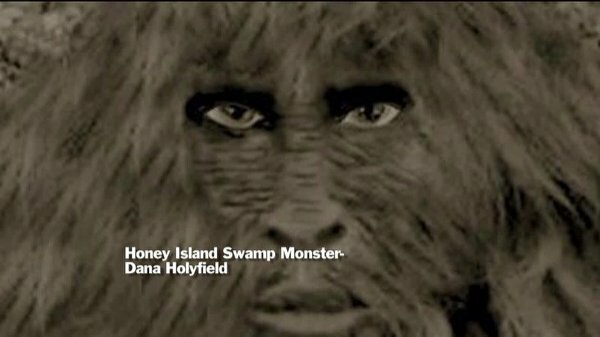 A monster also lives here--the Honey Island Swamp Monster. Reports and sightings date back to 1963. 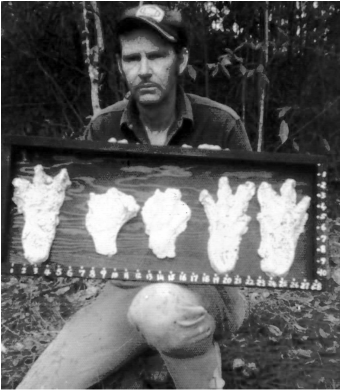 There's even film footage and casts of footprints. He is reported to be a two-legged seven foot tall, extraordinarily hairy creature with yellow eyes and a four-toed foot who wafts the disgusting smell of rotting flesh everywhere he slumps. One of the origin stories, my favorite, is of a turn-of-the-century traveling circus riding a train that derailed in the swamp. All the animals escaped. The Chimpanzees mated with the alligators and somewhere along this fleet evolutionary tale some homo sapien got mixed in. Ahhh, don't we love our monsters? We want them: Bigfoot, Yeti, King Kong, The Fouke monster, the Loch Ness monster, the Swamp monster. 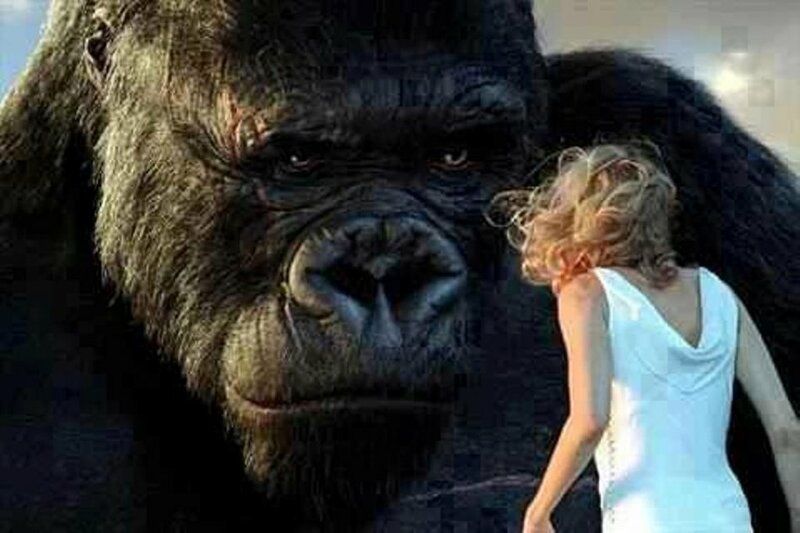 We want something big, hairy, scary, wild. who slinkily instinctively navigates the swamps and fields. We want a creature we can't kill off, who has survived us, our guns and human wasteful ways. 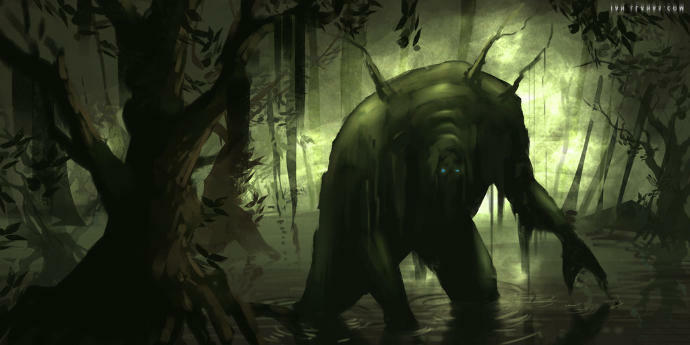 We want a creature lurking in the dark. We want to be afraid; we don’t want to be alone. We want to know we don’t know all there is to know. We must have mystery. We must have monsters. Maybe it’s easier to believe in them than Christmas. What is this story? An unknown girl in a backward town played host to the holy ghost? 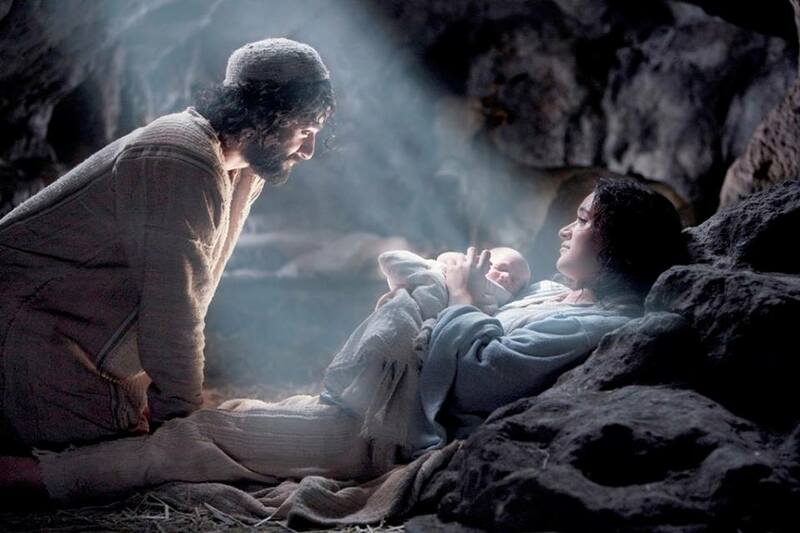 The fierce untamable God came near, came tame and mild, as an infant child? That God squalled for his mothers’ milk, wore diapers and a peasant’s rag? That he grew and healed the dying, wholed the sick, sang the mute, taught the truth? And all this story to end in a gory death on a cross to take our place? God born for all to die for all to set all free, at no cost? "Who can bear or believe such a myth, such luck, such a god, such light? Give us back our swamp, our night, our glorious fear. We’re more at home here." "Light came into the world, but people loved darkness instead of the light . .."
But I do not give up hope, that some even this Christmas will see the light that shines for them . . ..